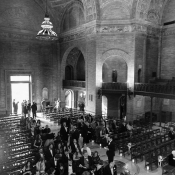 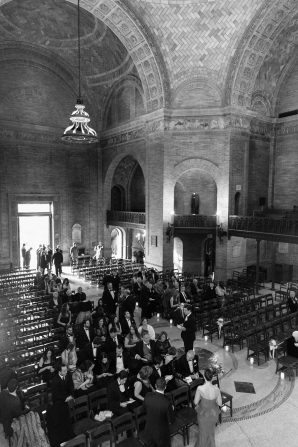 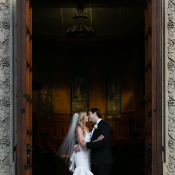 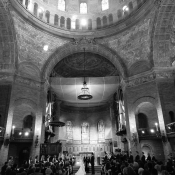 Rachel stood at the entrance to St. Pauls Chapel at Columbia University, took a deep breath, and interlocked arms with her mother. 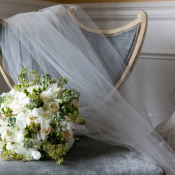 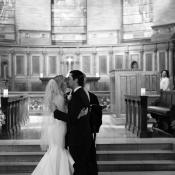 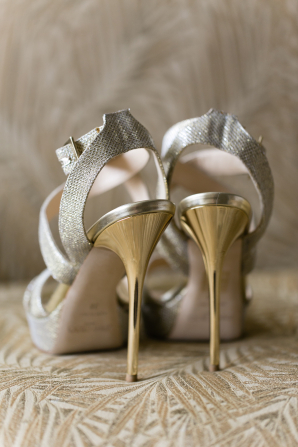 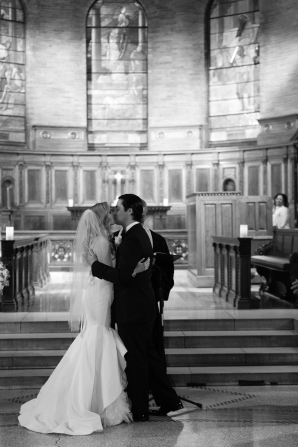 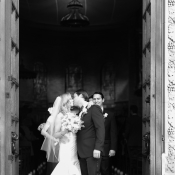 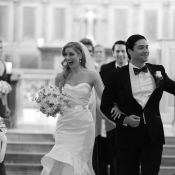 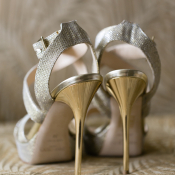 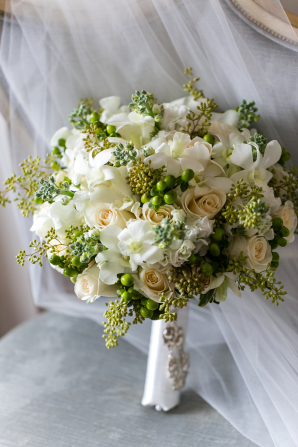 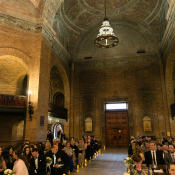 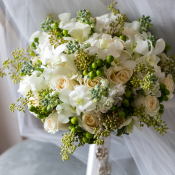 As the doors to the chapel opened and she walked down the aisle, pre-wedding craziness was replaced with pure and complete joy as Nicolas beamed from the altar. 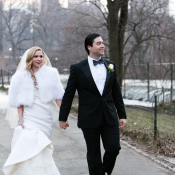 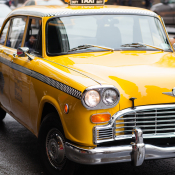 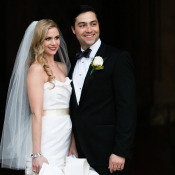 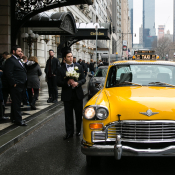 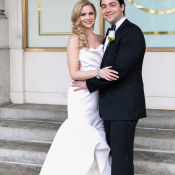 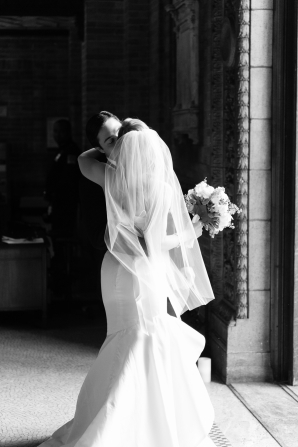 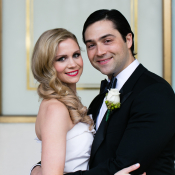 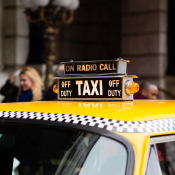 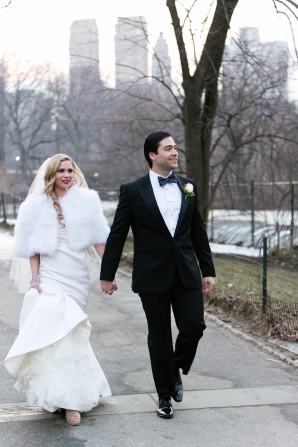 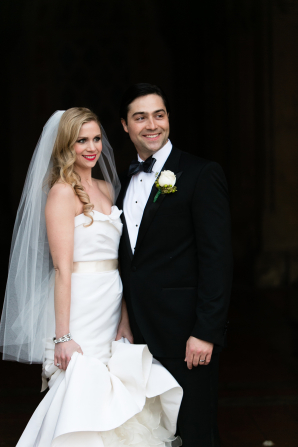 As Rachel recalls, “I’m certain that the way he looked at me is the way every bride hopes and dreams her future husband will look at her – as though he just won the jackpot.” The couple’s March wedding couldn’t have been more quintessentially New York City, complete with a vintage Checker cab! 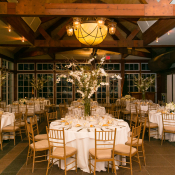 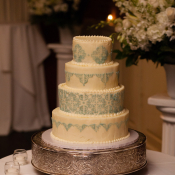 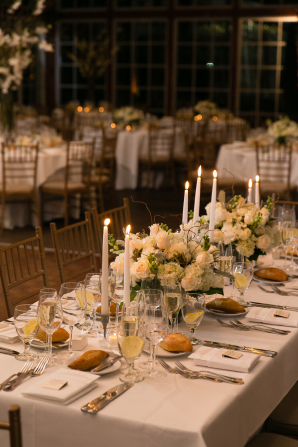 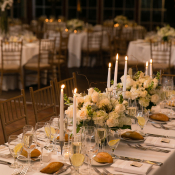 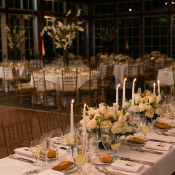 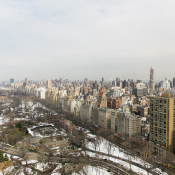 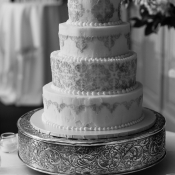 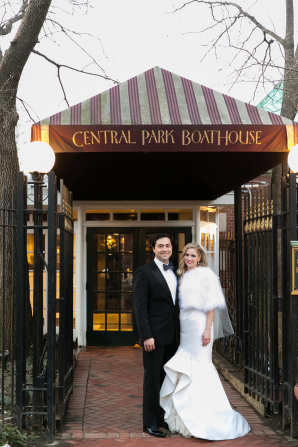 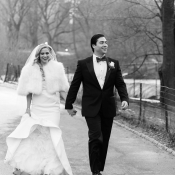 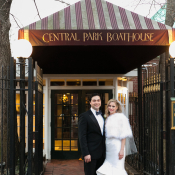 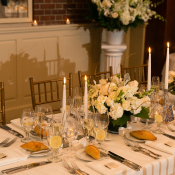 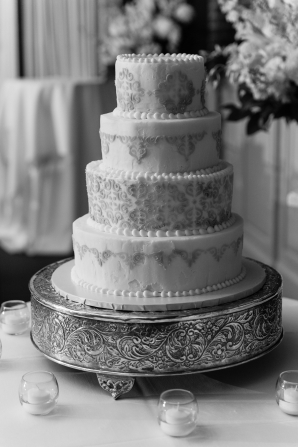 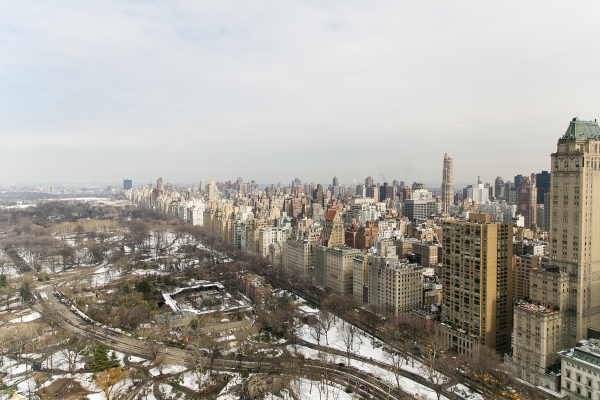 With the snowcapped branches of Central Park as the backdrop, The Central Park Boathouse set the stage for an exquisite event celebrating their union. 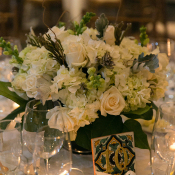 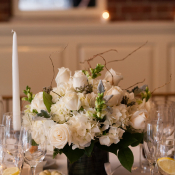 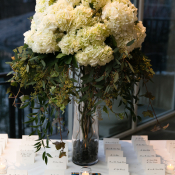 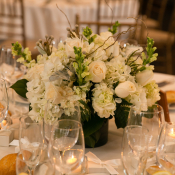 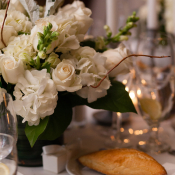 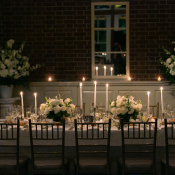 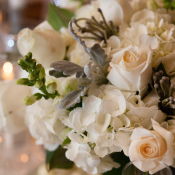 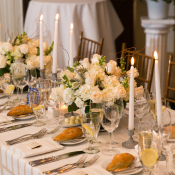 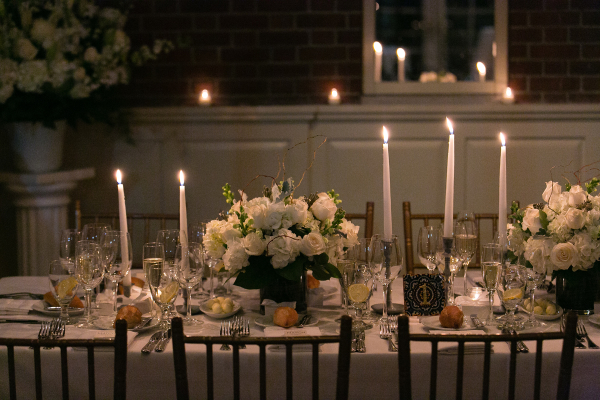 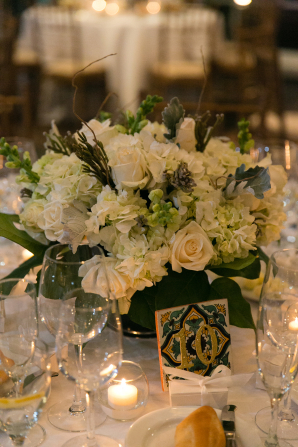 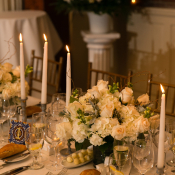 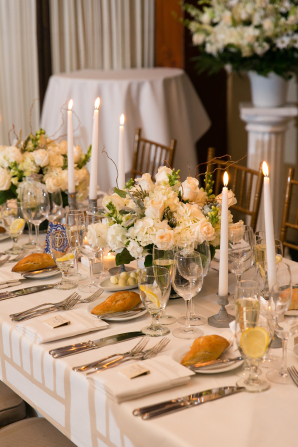 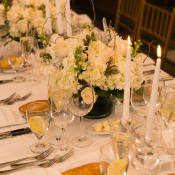 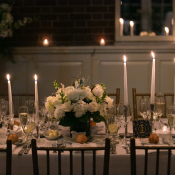 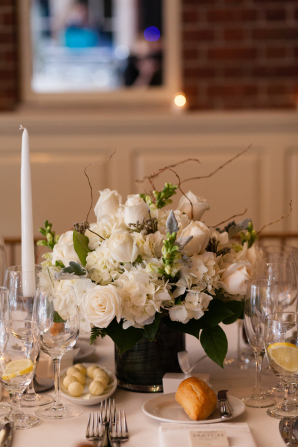 Cress Floral Decorators created organic arrangements of roses, snapdragons, orchids, and stock in ivory and green, with a sea of candles to light up the winter’s evening and Spanish tile table numbers to honor Nic’s heritage. 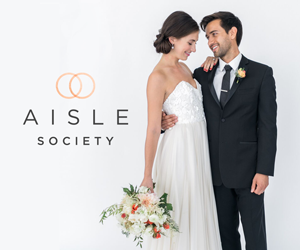 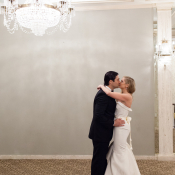 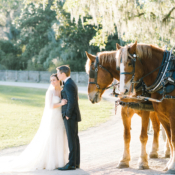 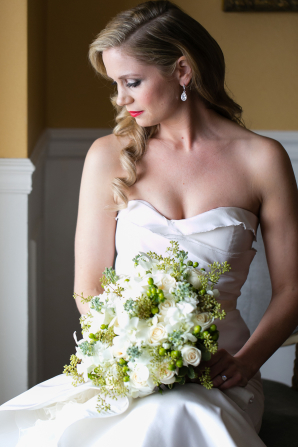 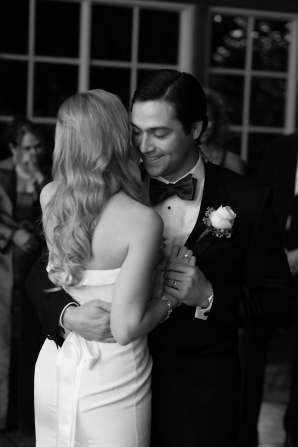 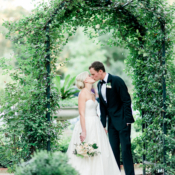 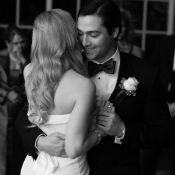 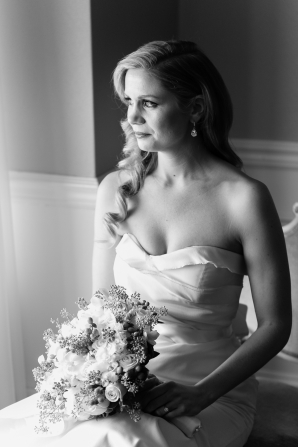 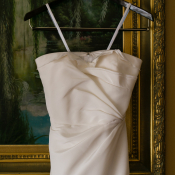 Rachel is an absolute vision in a structured Oscar de la Renta gown, and the pure joy that these two radiate is beautifully captured in the timeless images from Emilia Jane Photography!